We are international traders, who deal in many different types of fibers. 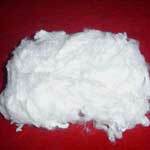 For example cotton, polyester, nylon and linen. We have many years experience in this business and provide an expert and efficent service.